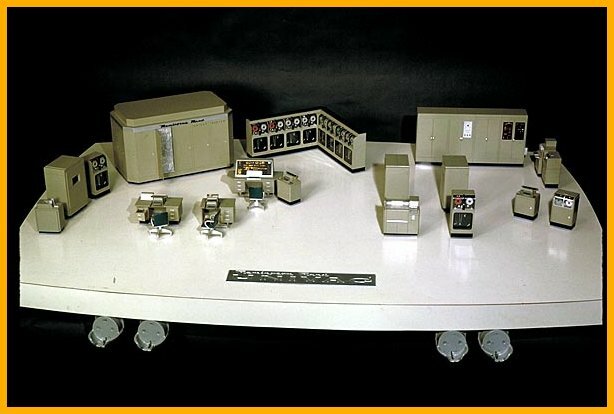 First and second generation mainframe computer rooms were complete with raised flooring, special power, with ultra-heavy-duty air conditioning, and with a hefty side order of Halon fire extinguishers. 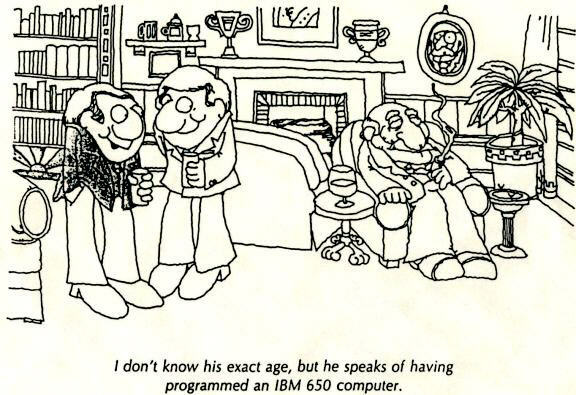 Before proceeding, you can learn what the term computer "generation" means. that is, what exactly defines a 1st, 2nd, 3rd, 4th, and 5th generation computer. To find out, just click on the web site link below.. Programmable Colossus machines like the one shown below were used by British Codebreakers in World War II to read German encrypted teleprinter messages. First operational at Great Britian's Bletchley Park in December 1943, the 1944 Colossus Mark II improved on the original design. 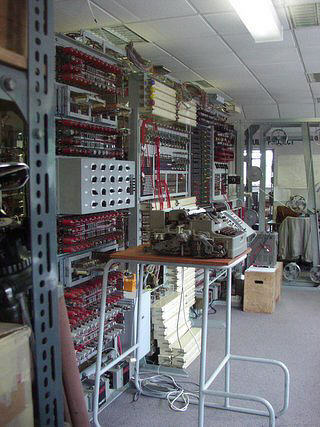 A total of ten Colossus Mark II machines were operational by the end of the war and were invaluable in breaking the German Enigma code. Shown below: The UNIVAC I (UNIVersal Automatic Computer I): The first commercial computer made in the United States. It was designed by J. Presper Eckert and John Mauchly, the men behind the second American electronic computer, the ENIAC. During the years before successor models of the UNIVAC I appeared, the machine was simply known as "the UNIVAC". The first UNIVAC was delivered to the United States Census Bureau on March 31, 1951. The fifth (built for the Atomic Energy Commission) was used by CBS to predict the 1952 presidential election. With a sample of just 1% of the voting population it predicted that Eisenhower would win; something nobody would believe, but UNIVAC was right! The UNIVAC I computers were built by Remington Rand's UNIVAC-division (successor of the Eckert-Mauchly Computer Corporation, bought by Rand in 1950). ENIAC, short for Electronic Numerical Integrator And Computer, was the first all-electronic computer designed to be Turing-complete, capable of being reprogrammed by rewiring to solve a full range of computing problems. ENIAC was developed and built by the U.S. Army for their Ballistics Research Laboratory with the purpose of calculating ballistic firing tables. In 1946, with 18,000 vacuum tubes, was dedicated at the University of Pennsylvania and was transferred to the Aberdeen Proving Ground, Maryland in 1947 where it would be in continuous operation until 1955. It was 8 by 100 feet and weighed 80 tons. It could do 5,000 additions and 360 multiplications per second.